Driven by a need to communicate the indescribable, and drawing on influences ranging from composer Ralph Vaughan Williams to Sigur Ros, Nick Drake, and Meshuggah, “Discontinuance” is the debut album from Ghost Medicine, the working name of Georgia based guitarist and composer Jared Leach.Consisting of seven tracks, and exploring themes related to the contradictory and inexpressible nature of the human experience, “Discontinuance” is a remarkably developed and engaging statement from a hitherto unknown voice. Demonstrating a deep knowledge of both alternate tunings and creative guitar effects, Jared Leach’s expressive, original guitar work is the binding element throughout the album, alternating between, sensitive layered finger picked acoustic guitar, to fiery and imaginative solos. 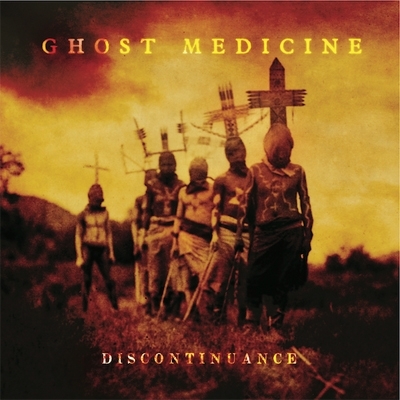 Progressive rock outfit Ghost Medicine has released the first song from its debut album Discontinuance. Titled “Desert Spring,” the song covers a tremendous amount of ground in a short amount of time, hearkening back to the band’s numerous influences. Fans of Porcupine Tree will immediately notice a parallel. In fact, between the guitar tone and vocal style, “Desert Spring” may be the next best thing to a new Porcupine Tree album. And not solely due to the track’s tone, either; the nine-minute track features a contribution from none other than Porcupine Tree bassist Colin Edwin, who’s thumping bass provides the song’s backbone. Continuing the style of progressive metal made famous by Porcupine Tree, Opeth and Katatonia, “Desert Spring” lulls listeners into a false sense of security before unleashing its hidden fury. An acoustic guitar begins the track with an enchanting melody moments before the lush vocals begin, starting the song off with a mellow passage. Things really kick into gear, however, around the two-minute mark when the track becomes decidedly more sinister, sounding remarkably similar to Opeth’s Ghost Reveries.